From past few months some incidents are happening with me those have made me surprised, stunned, perplexed, astonished, bewildered and so on…..
After long 10-12 years suddenly I have seen some people those who used to be very close to my heart and life, though they are still in my heart but they don’t have any idea about it. It was really very good to see them in good condition. The day this incident started to happen it made me really surprised, not only one time, they came into my view for many times and I asked the question to myself…why after so many years? Before these meeting,In last 10-12 years i had never seen them…. 500 gm of fish in our house when there is no guest present, If I say this to those people who knows about my family then they will surely not believe because my parents are pure vegetarian, my sister is half vegetarian (as I call her because she does not like fish and chicken much, only eats egg rarely), so I am the only person in my family who is purely non-vegetarian and our closed ones knows that I can’t eat fish more than one standard sliced piece. Still last Saturday 500 gm of fish came into our house from market. Every year during rainy season when Elish(Hilsa) is available in our hometown my Mom asks me to bring the fish for my sister because this is the only fish my sister loves to eat. 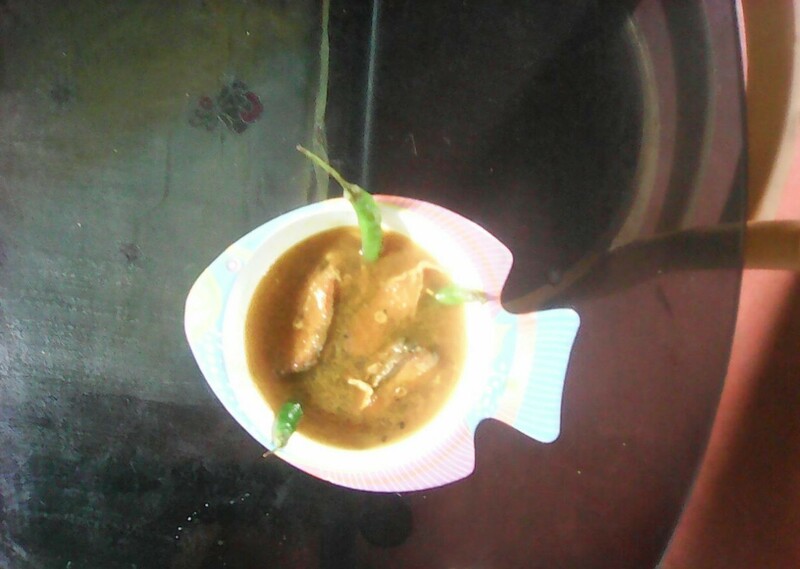 This year when last Saturday I went to market to buy the fish suddenly I felt….”I will also eat the fish”, so, that day I bought 500gm of Hilsa in 300 rupees, when I returned home and informed Mom that I will also eat Hilsa then everyone became surprised, not only I told that I will eat the fish rather I suggested her some preparations of that fish. Even till last year when Hilsa was being cooked in my house I did not come out from my room in first floor to avoid its smell. On Saturday While I was about to start my lunch suddenly I felt…”Today I will eat lots of rice with Eilish Posto”, I asked Mom to serve more rice then again my family members became surprised. I don’t have the habit to eat a lots of foods and from past two years its happening that whenever I am taking lunch with my family my Mom scolding me a lot and shouting out of anger seeing my eating habit, from past two years I am taking rice in lunch with one vegetable(The delicious one, and sometime the another veg preparation) and most of the time avoiding other preparations like another one or two veg preparations, Daal, and the potato fries or Papad, so whenever I am taking lunch with my family members my Mom scolding me saying…”should this be your food habits? Rice with one veg!!! What are you doing? You are doing heavy weight exercise and this is your lunch, at least you should eat the Daal it contains lots of protein”. So when that day I took lots of foods then all became very surprised. I thought, after eating so much food I will surely suffer from indigestion or acidity and surprisingly nothing wrong happened with me. 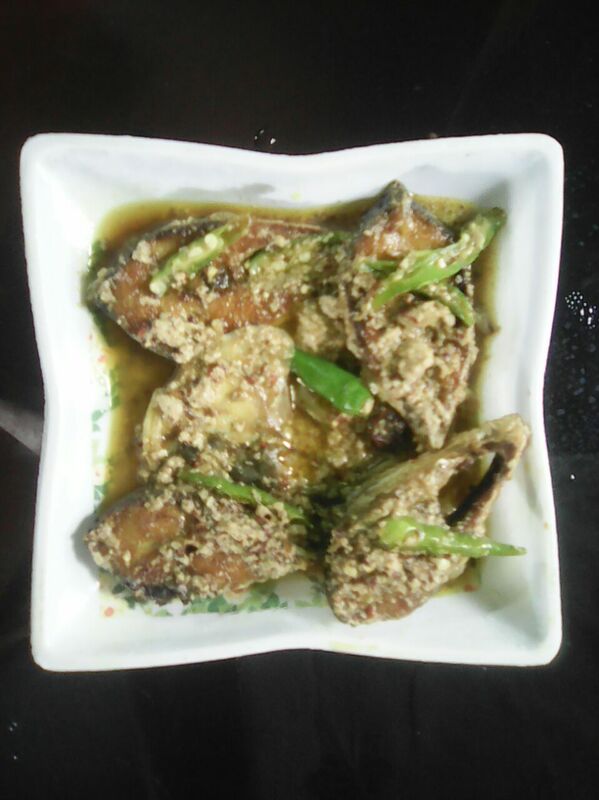 Last Saturday and Sunday what me and my sister ate a lot is various preparations of Hilsa, Eilish Vaja(Hilsa Fry), Eilish posto(Hilsa with Poppy seed), Eilisher Tok(Soured Hilsa) and Eilisher Jhal(Hilsa soup with Chili). While analysis the incidents I realized it more deeply that…if you liked or loved someone or something truly then your feelings will never die…. During my childhood days I always loved to eat Hilsa a lot.